After my work on the Duo v2 and 102, NETGEAR was kind enough to provide me with a ReadyNAS 104 to play with. This page documents the work done in order to get mainline kernel support for the device and its various hardware parts, in order to be able to run a standard Debian and a grsec kernel on it. If you were interested in the RN102 but would have like more disk bays, then the 104 is the one you were waiting for. For that reason, the additional work to get a working .dts file after the time already spent on RN102 was limited. June 2015: I found some time to document how alarm support can be used for poweroff and automatic poweron of the device. See the alarm section for details on how to Configure alarm for poweroff and automatic reboot. February 2015: I finally managed to have alarm support patches for ReadyNAS RN102, RN202 and RN2120 using the ISL12057 RTC chip accepted in upstream kernel v4.0 (1a67e256dbd8, 298ff0122ab1, fd71493d6797). This allows you to very simply install an alarm time, power off your NAS and see it reboot at the programmed value. cron being your friend, you can very simply program different behaviours for each day of the week. October 2014: Added a basic script to associate actions to power, reset and backup buttons. 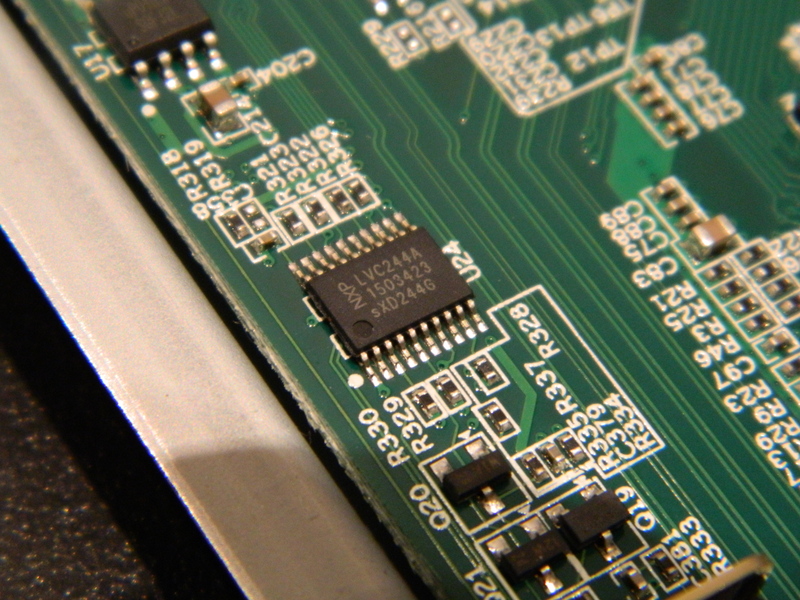 January 2014: After a lot of struggle due to an inactive RTC maintainer, Support for Intersil ISL12057 I2C RTC chip has been accepted usptream and will be available in 3.14 kernel. Alarm support is still missing though, i.e. you will not be able to wake-up the NAS with a mainline kernel at the moment. Thanks to Ezequiel Garcia, RN104 will be able to benefit from Armada 370 NAND controller support, i.e. instead of updating kernel from u-boot, it will possible from userland starting w/ 3.14. kernel. October 2013: RN104 received. 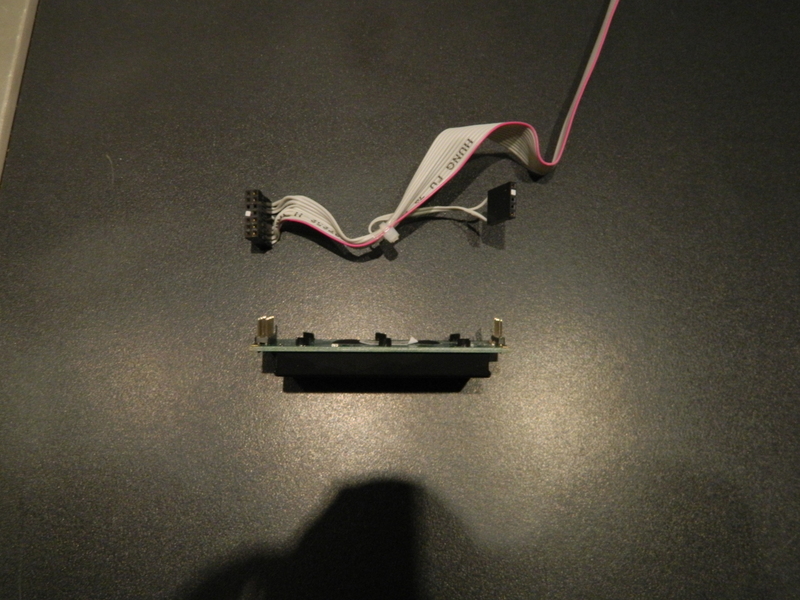 First disassembly. Initial working .dts file written and pushed upstream for integration in 3.14 kernel. Created this page. Support for SATA led control added to .dts. Support for SATA disks power regulators added to .dts. 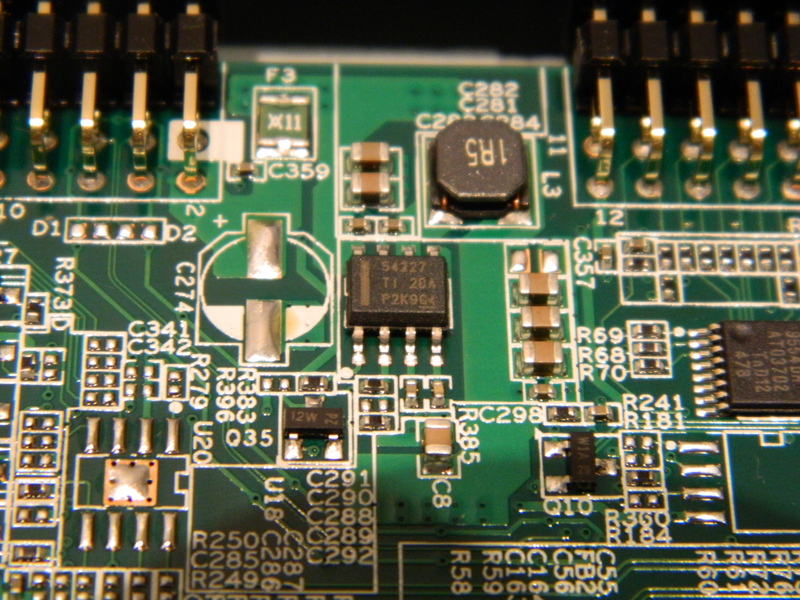 Add GPIO regulators nodes to control SATA disk poweron/off based on presence. The ReadyNAS 104 comes with 128MB of NAND flash. 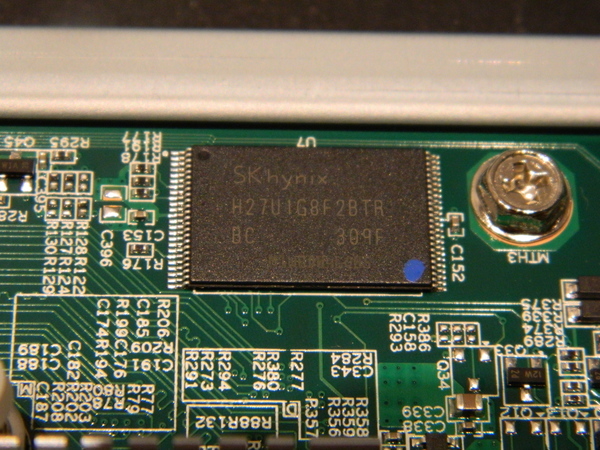 This is provided by a single Hynix H27U1G8F2BTR chip, as depicted below. 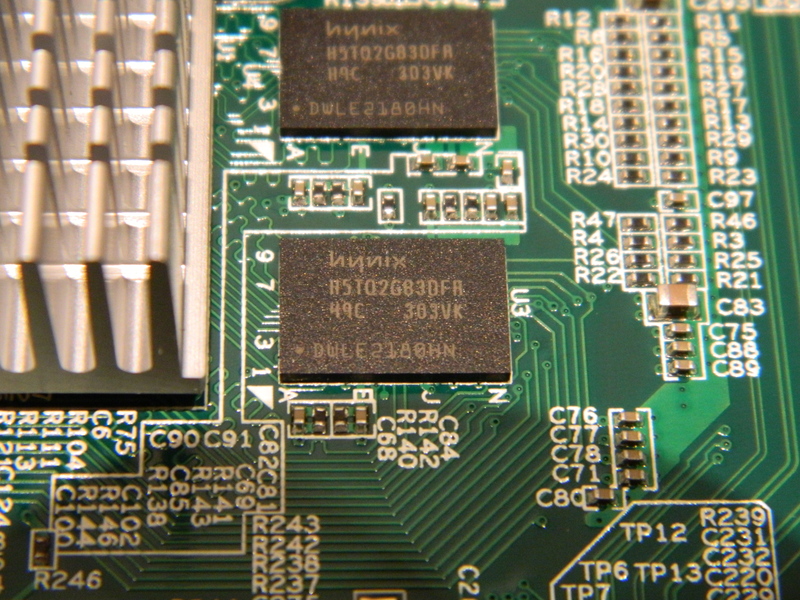 The same chip was used on the ReadyNAS Duo v2 and ReadyNAS Duo v2. 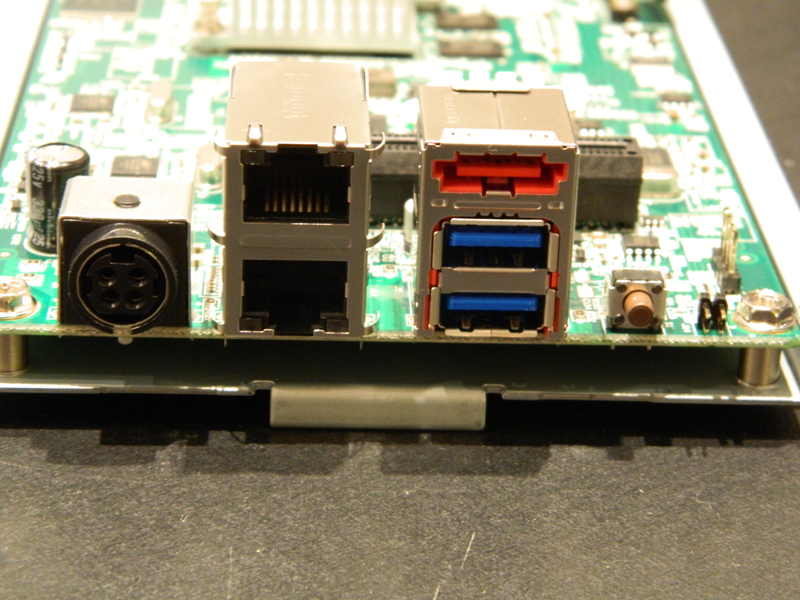 The ReadyNAS 104 comes with 512MB of RAM connected to the SoC. 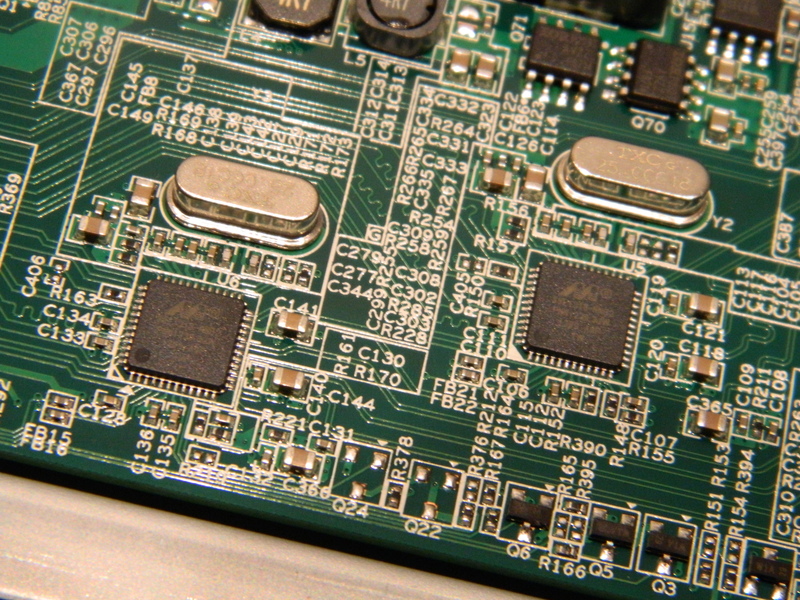 This is provided by two soldered Hynix H5TQ2G83DFRH9C chips. The RaedyNAS 104 comes with an Intersil ISL12057 I2C bus RTC chip, as depicted below. 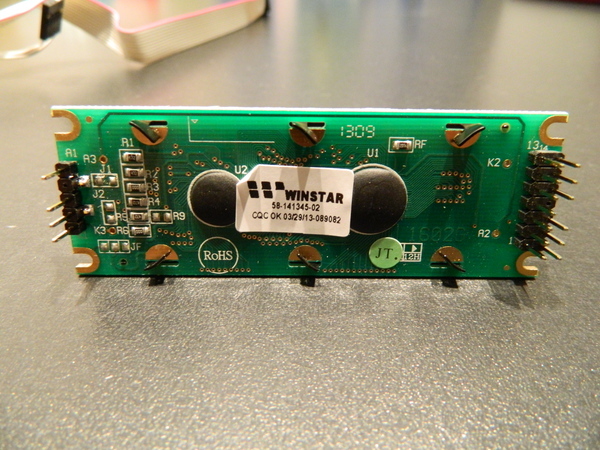 The Intersil ISL 12057 is a low power RTC and Alarm chip. A short patch (596 LoC) has been written by NETGEAR for the ReadyNAS 102 kernel (based on 3.0.56) but has never been pushed upstream. I decided to implement a driver for the chip based solely on existing ISL 12008 kernel driver and ISL12057 datasheet and push it upstream. The same chip is used on the RN104. The USB3.0/xHCI controller used by the device is a Fresco Logic FL1009, as depicted below. A product brief is locally cached here. 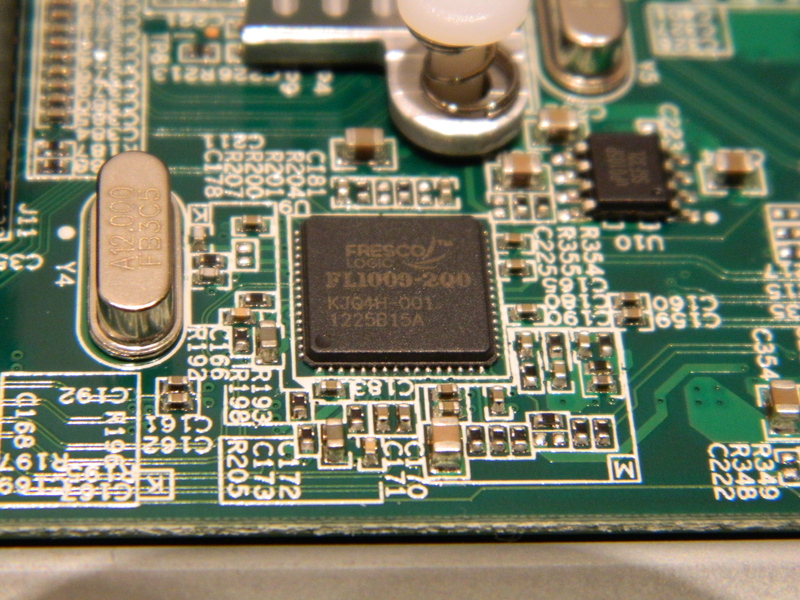 The FL1009 is a 2-port PCIe XHCI controller , which was the first one to gain USB-IF certification. It has also being demoed by Fresco Logic to hit speeds in excess of 400MB/s. After some work, I managed to get G762 driver accepted upstream in 3.11 kernel. That been done, it can now easily be referenced in Duo v2, RN102 and RN104. Take a look at the fancontrol section to see how the fan controller can be coupled with the temperature sensor. 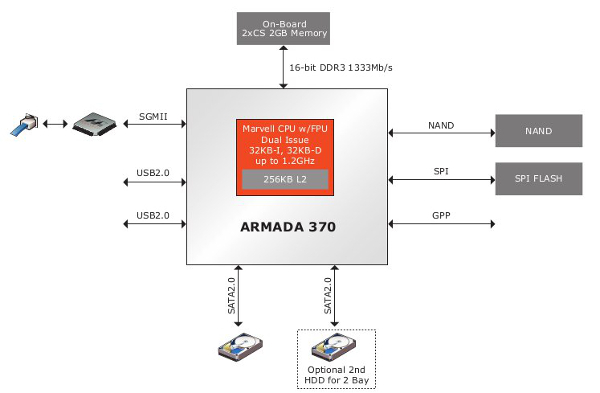 The Marvell ARMADA 370 SoC comes with two integrated Ethernet MAC but does not include the required PHY. 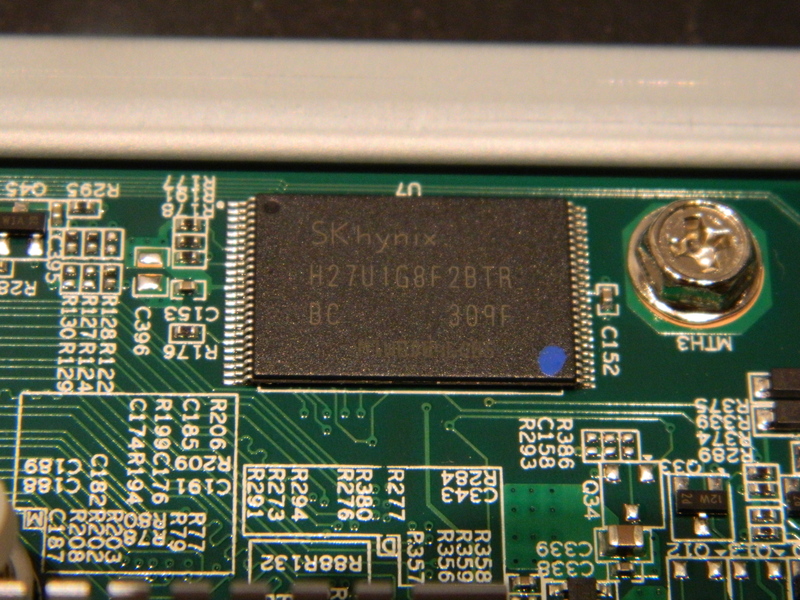 The ReadyNAS 104 has two Marvell 88E1318 Gigabit Ethernet PHY connected to the SoC via RGMII interfaces. 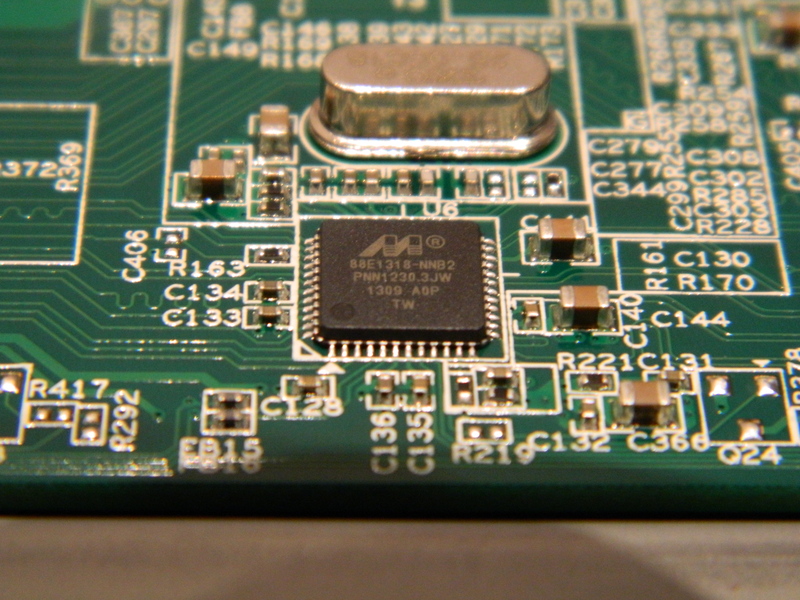 The picture below provides a closer look to the PHY chip. The eSATA port (in red), connected to one of the SATA interface of the SoC (i.e. not handled by the Marvell 88SE9215 SATA controller used for internal disks). The two GbE interfaces connected to the Marvell 88E13138 PHY connected to the SoC. The picture below provides a view of the same interfaces, but with the case removed and a different rotation angle (NAS is upside down). 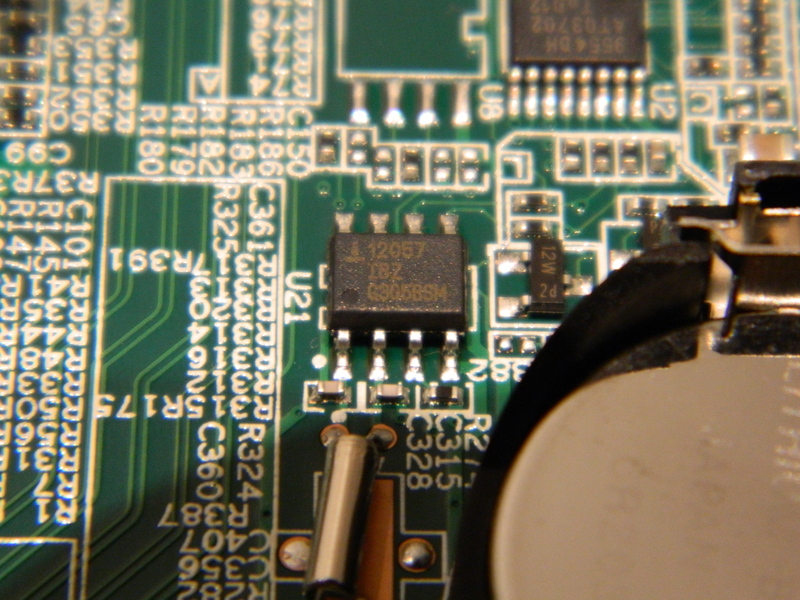 This last picture provides a closer look of the UART pins available under the sticker, near the reset button. Unlike the ReadyNAS 102, the 104 comes with a 16x2 character LCD module, namely a Winstar WH1602. 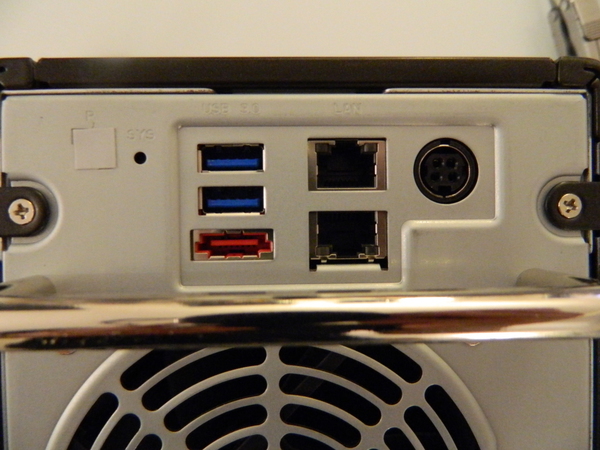 The LCD is located on the front of the NAS at its bottom. The picture below provides a rear view of the module (the NAS is upside down). Unlike the 102 which has no lost space internally, this also shows that the RN104 has some, which explains why it is taller than the 102. 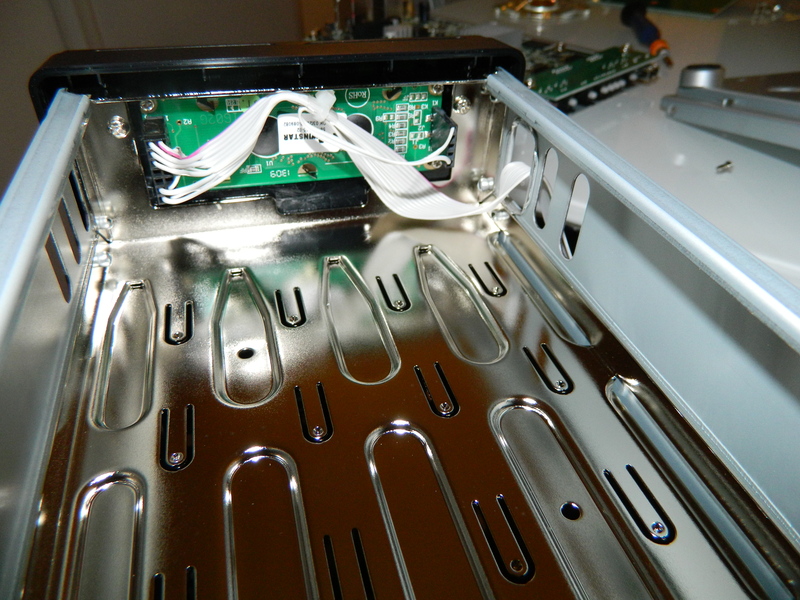 The picture below provides a view of the rear side of the LCD module, extracted from the NAS. This shows the pin of the LCD modules connected to the GPIO pins of the SoC (on the right) and the pins providing power to the LCD module (on the left). A view from the top with the cable is given below. 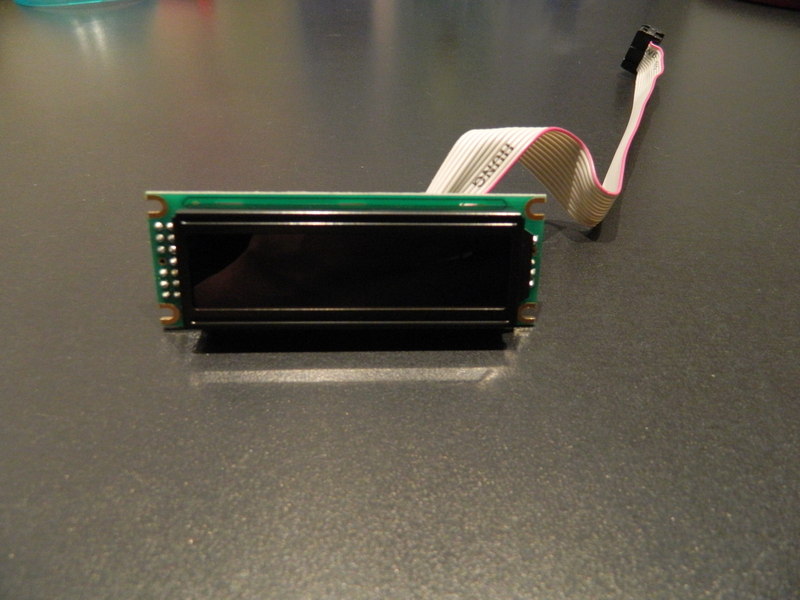 A front view of the LCD module is given below. 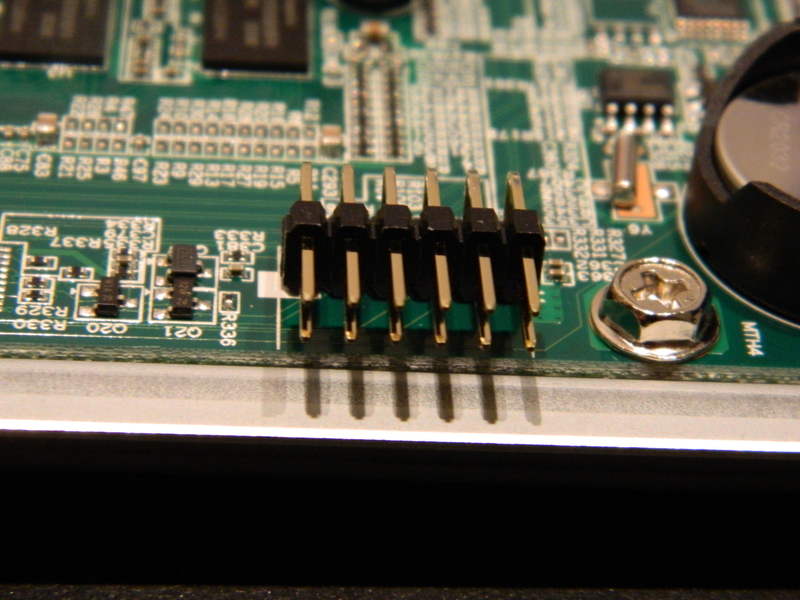 The pins on the main board of the NAS to which the LCD module cable is connected are presented below. 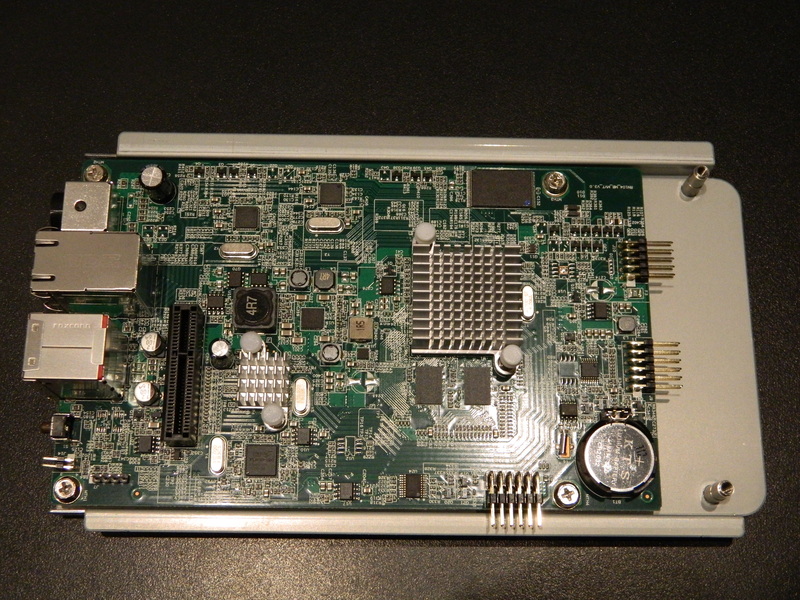 The picture below provides a view of the main board. The SATA extension board is not conected. The associated connector is the back one on the left near the USB and GbE ports. The small heatsink on the left is the one dedicated to the Marvell 88SE9170 SATA controller. The picture does not present the daughter board providing the front LED and buttons (presented in next section). 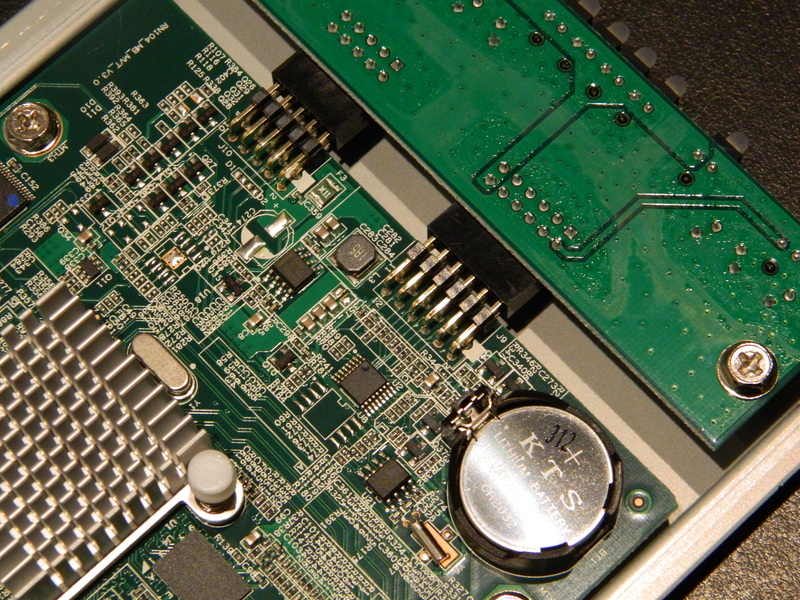 The connection of the daughter board to the main board is given below. 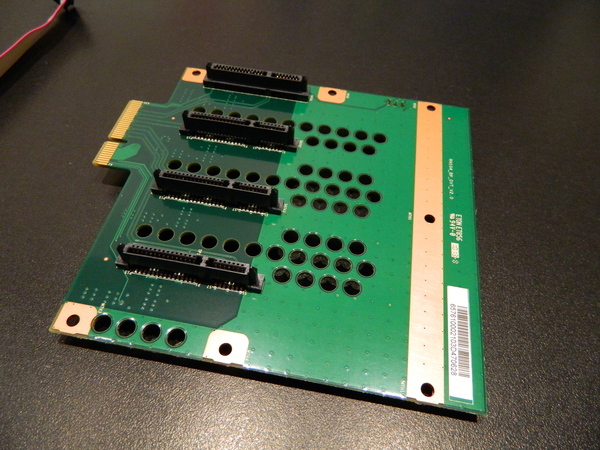 The SATA expansion board to which the disks are connected is depicted below. 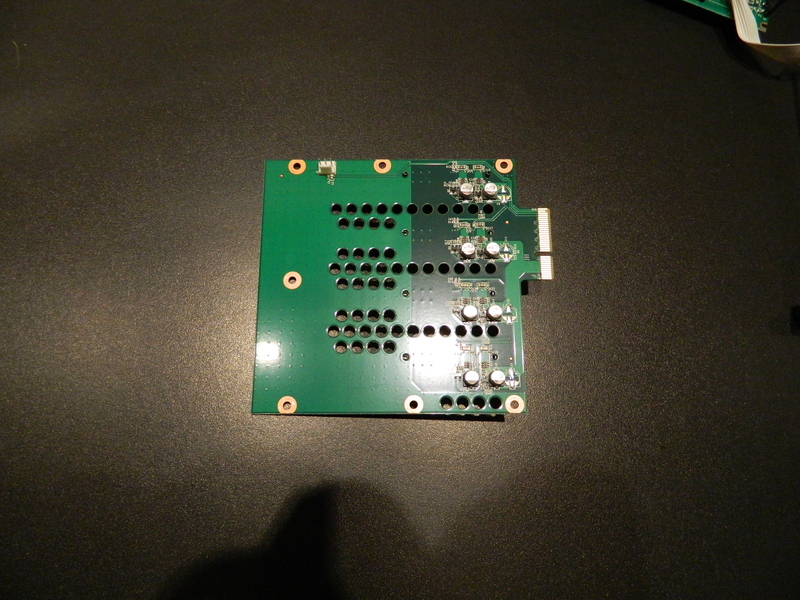 The rear of that board is depicted below. The LCD module consumes 8 GPIO of the SoC. 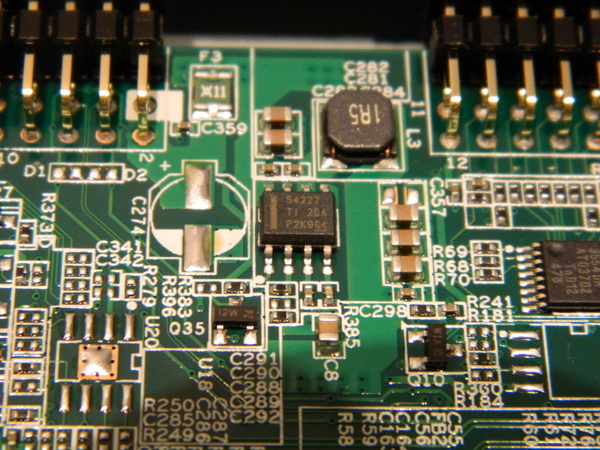 In order to get additional GPIOs to connect to front buttons and LEDs, NETGEAR has added on the main board an iomuxer connected to the I2C bus, namely a NXP PCA9554. 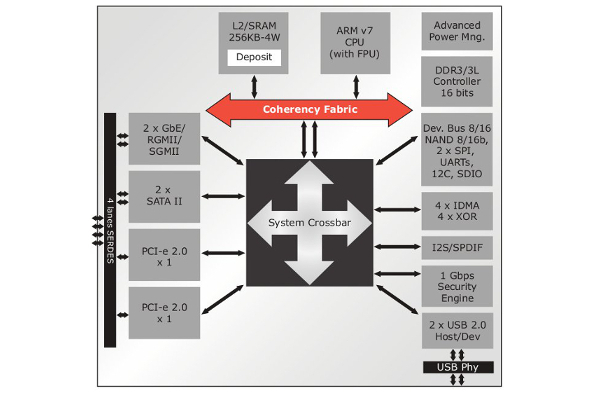 It provides eight additional GPIOs. 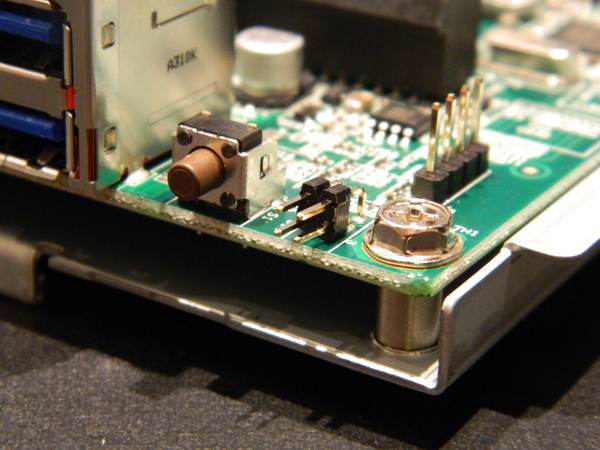 The picture below provides a top view of the component. It is located near the pins used to connect the main board to the front daughter board. Local copy of NXP PCA9554 datasheet. 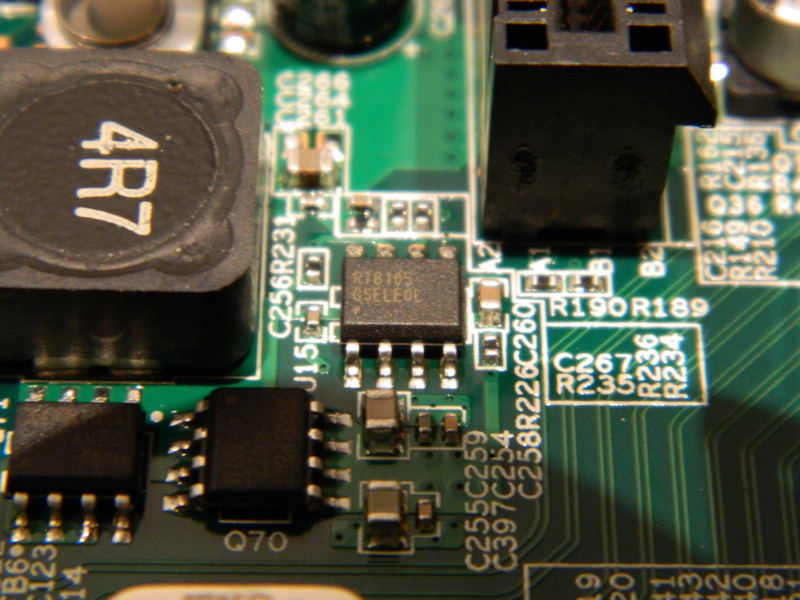 Local copy of Richtek RT8105 datasheet. 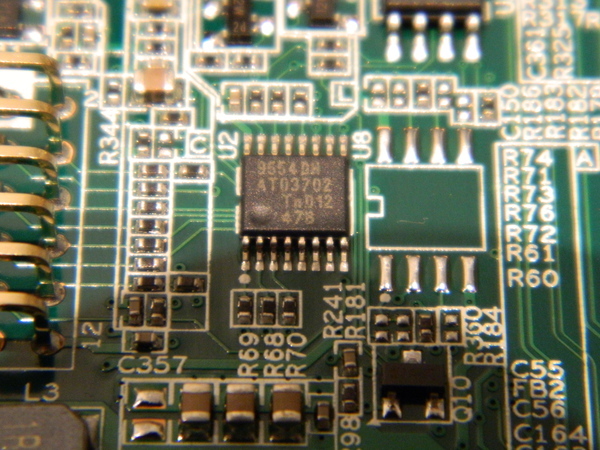 Local copy of TI TPS54227 datasheet. 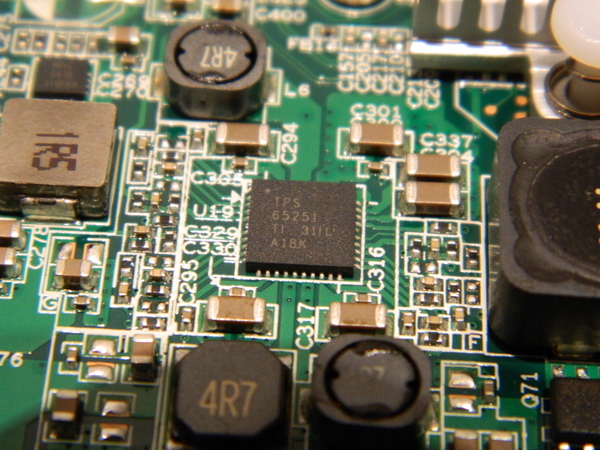 Local copy of TPS 65251 datasheet. Local copy of NXP LVC244A . If you want to trigger custom actions using the power, backup and reset buttons, you can probably use this script as a basis. Alarm IRQ pin (IRQ#2) of ISL12057 RTC chip is not directly connected to the SoC on RN102, RN104 and RN2120, but to a PMIC (TPS65251), handling powering of the device. 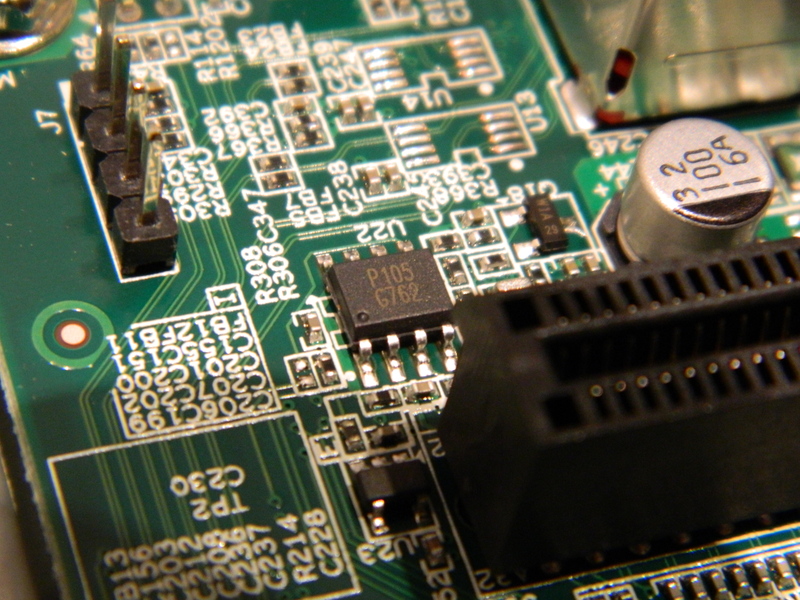 The PMIC does not provide a way to report the status of the IRQ#2 pin. This is not a common design pattern on Linux and requires some specific kernel adaptation. This is the reason why alarm support (1a67e256dbd8, 298ff0122ab1, fd71493d6797) for those NAS took a bit longer than expected. If you are interested by the details, the commit messages and the code provides more information. After having configured the alarm one minute in the future, and then having powered off the system, you should see it come back to life after a minute. Now, if you want to poweroff the device each night and have it come back say in the morning or in the afternoon, you simply need to create a crontab. This is left as an exercise for the reader.